League of Angels II First Expansion Launches Today! 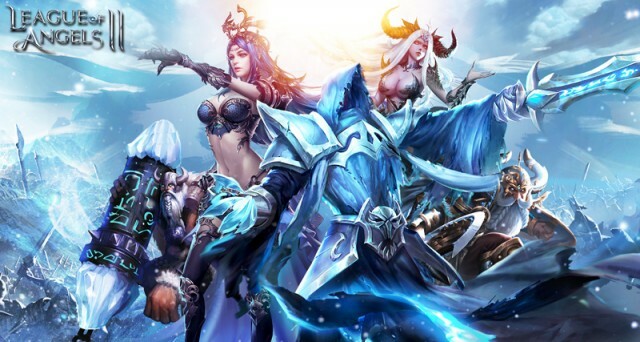 The epic free to play MMORPG League of Angels II from GTArcade has attracted 30 million players from 45 countries and launched over 1,000 servers since its release. Selected as Facebook’s Featured Game on 3 separate occassions, LoA2 quickly swept across North American, Europe, and Asia. Today marks the release of LoA2’s first Expansion: Angel of Desire! The Eternal War reignites and a new generation of Angels will lead players to a new era! As a key figure in the history of Sapphire, Dora, the Angel of Desire, has finally revealed herself. Some observant players may remember in the first Chapter of the Main Story Dungeon, Dora once appeared to have a little chat with Mikaela. Born as a princess of the Angels and raised in the upper nobility, Dora descends on Sapphire with the title of “the Best Support”. Will she have a big impact on the current squad formations? Additionally, Dora has also brought her Soul Arm: The Staff of Desire. Burning with a violet flame, this staff serves as the best carrier of Enchantment. The Staff of Desire can deal great AOE damage, as well as restore Rage to your entire squad. How will you take advantage of this Soul Arm in battle? It’s time to discover new strategies! The Eternal War officially launches today! Last week, this mode was released on EST Servers in advance and drew mass interest from players. The Eternal War is an experience that’s completely different than anything players have seen in LoA2 so far. Players can join Legions, which are divided into 3 Elemental Factions: Fire, Water, and Wind, and wage war across a huge battlefield over territory and resources. Build weapons of destruction and deploy strategy and tactics to crush your enemies. You’ve never experienced anything like this! As the annual shopping frenzy known as Black Friday approaches, League of Angels II is preparing multiple events to bring amazing bargains to all players! Lucky Bar is back and giving out 5× prizes, including Dora Shards and Staff of Desire Shards. Special Elemental Orbs will drop from Elite Dungeon that can be exchanged for more rewards. In addition, there will be special Recharge events for the Expansion and a Group Deal for Mythic Heroes. League of Angels II: Angel of Desire is now out and brand new challenges await the warriors of Sapphire! Who can form the greatest Legion to conquer this new battlefield? Who will win the glory of the Eternal War and become its greatest champion?